So sadly Freshers’ 2016 has come to an end, but what a great three weeks it was! I just thought I’d some up some of my favourite moments and take some time to thank some of the amazing people that made it all happen. This Freshers’ has been the liveliest and most exciting one that I’ve seen through my four years at the University and the staff and volunteers that put it all together need to be thanked! First up are the Halls Committees and Fresher Reps who were there to greet Freshers and make sure they settled in successfully and who really showed them how much the Union, University and city has to offer. They were led by Sam (Halls Officer) and Flora (VP Student Communities) who did an awesome job coordinating the huge team of reps. I wanted to say thanks to the amazing events and bars teams who worked really really hard to provide Freshers with some incredible experiences. I will never forget the amount of foam we saw at the Foam Parties in the Cube, safe to say it took a little while to clear up! We saw one of the best line-ups #SotonFreshers has ever seen, with BBC Radio 1’s Chris Stark DJing our Welcome Parties, the amazing comedy nights with Sara Pascoe and Russell Kane to the massive classy affair that was Freshers’ Ball with Sigma, Majestic and Becky Hill. Another shout out needs to go to the Engagement team and Student Support Staff who helped run a host of the day time events, like the Bunfight: Student Groups Fayre and smaller events like Meet the Guide Dogs. We saw over 4,500 people go through the Bunfight over the day, and the smooth running was down to the Union staff that helped out! 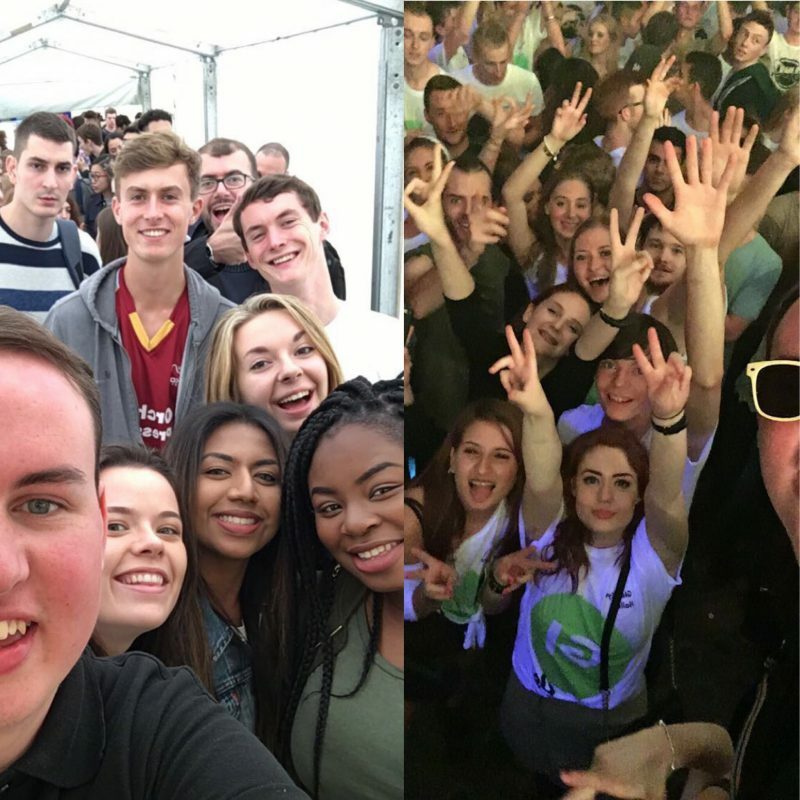 From film screenings to the Union Fayre, Silent Disco to a Cards Against Humanity pub quiz and Humans Vs Zombies to the BNO, there was literally something for everyone! We really hoped you enjoyed whatever you got involved in. Keep an eye out for all the upcoming events we’ll be running, and if you’d like to be involved in running next year’s Freshers then check out Halls Committee’s elections coming up in November. This time last year I didn’t even know what I wanted to do when I left University, then I decided to run in an election and because of that I got to help run one of the best periods of the Union calendar. I got to meet celebs, party hard and show a brand new group of students the Union, University and city I love, and there is no better feeling than that! And if you want to keep up with my travels over the course of the year then add @union_soton on Snapchat or come and say hello to all the Full Time Officers in the Sabbatical Office on Level 2 in the Union building (bldg 42)! One Comment on "#SotonFreshers – been there, done that, got the t-shirt…"
Glad I made a picture.